Sergey’s research interests are in the field of glycoscience and Nuclear Magnetic Resonance spectroscopy. He is involved in a variety of projects related to study of carbohydrate metabolism in plants and microbes with the Professor Rob Field lab. 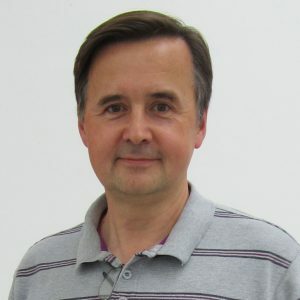 Sergey’s particular expertise is in synthetic and structural chemistry of carbohydrates and he contributes into development of chemical tools for addressing questions in glycobiology. Sergey also runs the Nuclear Magnetic Resonance facility – a non-destructive, fast and highly informative technique. As one of the essential analytical methods for chemical and biochemical sciences Nuclear Magnetic Resonance can be useful to anybody at the John Innces Centre who works small or large molecules.